Club Penguin Cheats by Mimo777 Club Penguin Cheats by Mimo777: 2010 Mimo Club Penguin Party FINAL CLUE! So do you have all the clue right so far? So what's left? Here is the last, 4th and Final Clue for the big 2010 Club Penguin Mimo Party! , it is harder than i think. I hope... Becuase the party will be very late for me. No doubt! What is it...? It's gotta be the time! Is it 6 or 9? I've never seen it. What is it called? Maybe it will give me some kind of clue...Wait...Maybe...Huh? Probably not! yeah its the time but WHAT TIME ZONE!!! P.S. Did he die or something? Anyone from CPG like 9china9 or Mimo or so and so, if you can, can you comment on my website for the post. Read my post and you will know why you need to comment mimo! It is important! I think I got it... AM or PM? Are you going to tell the answer??? I got them all but I can't come cause I have school. Awesome Clue! Got it! Thanks For the Clue! See you at the party! i wanna see that movie so bad!!! i hope you can make it! lol!!! oh yeah and i just want to add something to the brown puffle issue. i think that they SAID it was black but maybe they had bad lighting in the factory or the could have made it up just to make mimo buy it. but i dont think they would do that would they? TTYL!!! -sprocket07 BTW- sorry i havent been modding lately. Maybe it's 6 am or 6 pm.. what is it am or pm?!?!?! Its defently the time wahoo i got very thing see ya there mimo!!!!! I've never seen it...What is it? Really? i though it was a great movie,i wasn't scared except at the beginning,dolls freak me out for some reason, and the noises were creepy too, i also hated the fact that so many people died. im kinda stuck on all three... any advice? ive never been to a mimo party and i really wanna go to one!!! this would be my first mimo party ever! I haven't even figured out the other three! D':! The First clue is the server. The 2nd clue is the date. The third is the room and the last is the time. Mimo will tell us...after the party. AWWW!!!! Man!!!! Please tell me!!! This is my first Mimo Party!!!!!! 9 WAS A FREAKING AWESOME MOVIE!!!!! Woah! I'll try that out! And I will do the same! I just hope I have a black or white pin & background! :/ i have NO idea, SOMEONE PLEEEEASE HELP ME!!! I hope to be there, i have some of the clues! I think it's gotta be the time, hope i helped! Mimo- I think I will see you at the party! I only don't know the server... BUT the server is easy when you see that you have a lot of buddies from CPG on! Lol! I can only PROBABLY stay 5 minutes! Maybe he got frozen in an iceberge... And he won't awaken until three million years, where zombie zebras will then worship him! P.S Mimo, make a new mod list!!!!! Or at least at the start of February! Ive seen this clue b4! 2.This clue should tell you the time the party takes place. So once you've worked out what 6 upside down is (which shouldn't be TOO hard) you need to think how that number could be the time. 3.The time zone is Penguin Standard Time. The clock at the Snow Forts will tell you what the current time is in Penguin Standard Time, so you know what to do to convert the time to your local time. Cant wait for the party! I cant tell you more hints because you are really close to true answer! Mimo usually gives these clues on Penguin Standart Time! Glad you figured out ALL! See you at the party! Here are hint(s) for everyone! 4th Clue(Final Clue): TIME clue! Mimo's clues are always tricky! But they can be sometimes easy. Anyway, try to think HARD, and follow comments for hints... And also, Mimo will give all answers after party so that you can figure out next clues easily! Keep checking CPG, to attend MORE parties! CPG Fans LOVE parties!! Oh, yeah! I missed him too! I hope Mimo posts something about Carl in near future. But dont forget, he posts about his hamster, carl, usually on SECRET SITE! Hope you can attend the party. Hey Mimo! Party room will probably be FULL before the party starts.. So NONmembers will NOT be able to get into room.. So can you change room during your party? If you can, I will be very glad! Probably American!!!!!!!!!! Because if it's CP time I will probably be at school or be in my bed!!!! Tell Me The Answer Somebody Anybody!!! I just watched it!! The movie is called 9!! It could be either. It looks like a 6 but could be a nine. mimo's known for warpedness! Most likely it's penguin standard time! Hope that helps! 9 is sooooo sad i loved 5,6 , and 2 but 1 and 8 can die i really dont care about them lol i actually cried! hi, that movie was OK only, i dditn like it. i cant get it!!!! waaaaaaaaaa!!!!!!! its a good movie, its called 9. its worth seeing. its about 9 creatures who have to save mankind from evil machines. 9 is awesome!!! See ya at the party Mimo. 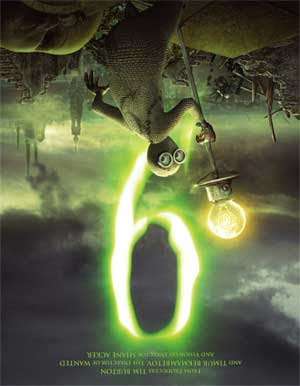 i love that movie 9! I can make it to this one!!! Probably. It's kinda lateish for me. Hint: Mimo is very mixed up. Ha ha ha, for me, it`s at both times. Hmm. I hope PM since AM passed. I don't know where Mimo lives, but if he lives in that time zone surely he wouldn't want to get up that early? Pants on the ground! Pants on the ground! Looking like a fool with your pants on the ground, gold in your mouth, hat turned sideways...Think you look like a cool cat but you look like a fool with your pants on the ground! Pants on the ground, pants on the ground, looking like a fool with your pants on the ground! The party isn't in a member-only room so why did you single out nonmembers? If the room is full, Members won't be able to get in either, lawlzz. this is going to be one late party. i may only be able to stay for a little bit. could you make your parties earlier next time? OK is it the cove, in the server two up from summit, today at 6 or 9 (I hope its PM) plz respond Ive never been to a Mimi party!!!!! I still cant get it! AAhhh. i really wanna be a the party but i need heaps of help!! can you please tell us the details for the Very last clue on the day before the party? Will you be adding at the party mimo?